The above trailer was recently published on YouTube, so if you'd like to get a glimpse of what's to come when the official release lands on March 27th, make sure to give it a watch. As it stands, the current Play Store listing is still pretty anemic when it comes to things to do in the game, and despite a few updates that have been pushed to the preview build over the last six months, not much has changed on this front. Luckily this is by design since the Play Store description makes it clear that the majority of fixes and updates aren't set to be released until the official launch. Here's what you can expect from the full release. The mountain is unique and features large areas to explore with runs in several directions. The players are free to explore and advance through each mountain in any order. And mountains contains both competitive challenges and meditative exploration. There's a lot of different styles to compete in: Slalom, Super G, Slopestyle, Big Air, Best drop line, push down the most bears to mention a few. 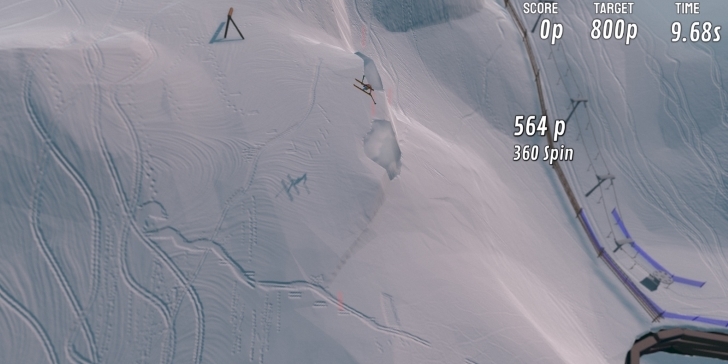 Combine your massive drop with a backflip or a rodeo. The trick system includes flips, spins, rails and combos. Most of the challenges features an online highscore to compete in. I've been very eager to see what Toppluva AB has up its sleeve ever since I played through the preview build of Grand Mountain Adventure last August. It was clear to me that the bones of the game had a heck of a lot of promise. 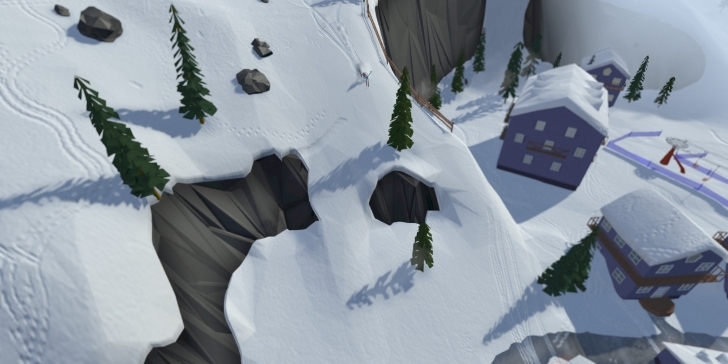 Now that we know there will be a total of five mountains to explore, along with a fully-fledged trick system and ten different types of challenges to compete in, I have to say I'm looking forward to putting my digital skiing skills to the test. If you've ever been a fan of extreme winter sports games like SSX or Cool Boarders, you're going to want to check out Grand Mountain Adventure on March 27th. will hit the Play Store on the 27th of March as a fully developed open world game. best drop line to mention a few. support, snowboarding and different play modes. built upon a custom game engine and map editor tailored for the specific needs of the game. After a slight delay, the full version of Grand Mountain Adventure is available on the Google Play Store. Before today you could only play through a limited preview version, but as of this morning, the full game has officially gone live. You can still download the title for free to get a feel for its fantastic open-world skiing gameplay, and if you like what you see, you can unlock the rest of the game's content through a single in-app purchase priced at $4.99. Toppluva is happy to announce that their award-winning ski game Grand Mountain Adventure is finally out on Play Store. Featuring five open mountains filled with a variety of challenges and secrets to discover, Toppluva hopes to extend the ski season significantly this year! * Non-linear and varied gameplay with both competitive challenges and meditative exploration. Price - First mountain is free. 5$ to unlock full game (IAP). No ads / micro-transactions. The game drops you down at the bottom of the calm & cozy ski resort of Hirschalm, where you get to try out your first slalom challenge. Winning the challenge earns you ski passes which you use to unlock lifts and discover new areas of the mountain. Advancing up the mountain, you quickly learn that it pays off to get off the slope and explore the backcountry filled with hidden challenges and secret ski passes. 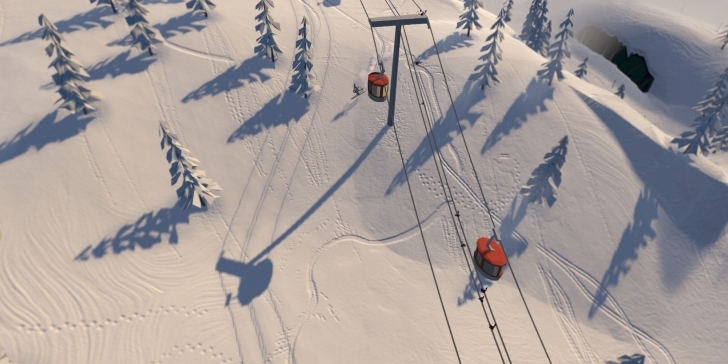 However, it’s not until you reach the second mountain of Waldtal, that the game really opens up with numerous lifts, runs in several directions and a variety of challenges to compete in such as slopestyle, big air and best drop line to mention a few. Grand Mountain Adventure is the first game created by Toppluva, which consists of three snowboarding brothers from Sweden. Development started by chance in 2015 after two of the brothers got injured in the slopes (one with a broken back, one with a broken leg) and while being away from skiing, started prototyping a ski game instead. Unlike most games released today, Grand Mountain Adventure is built upon a custom game engine and map editor tailored for the specific needs of the game.